The environment plays an important role for us and our production. That is why we are constantly establishing new measures to produce and act in an environmentally friendly manner. As an environmentally friendly company, sustainable production processes, the responsible management of resources, and using environmentally friendly technologies have been an integral to our company philosophy and operational activities. At the same time, these premises form the basis for our claim to long-term quality leadership in products and services. In our industry we are seen as a pioneer in environmentally friendly products and processes. As one of the steel industry’s leaders when it comes to quality, we strive to maintain an ecologically clean environment. We are active advocates for ecological and targeted production, the responsible use of precious resources and an intact work environment. We take responsibility for our actions and are working with passion on our green future. Our environment team at voestalpine Schienen GmbH leads by example: The Austrian Federal Ministry of Life honored voestalpine Schienen GmbH’s environment team with the EMAS Prize in 2012. We are continuously optimizing our production and processing operations. We work with standardized environmental management systems (ISO 14001 and/or EMAS), and our EMAS-validated companies at sites such as Linz, Donawitz and Kindberg publish an environmental statement every year. We make a significant contribution to climate protection each and every day with our steel products. Our activities for an improved climate situation include: the ecological product steel, stringent emissions monitoring, active research in the area of environmental technologies, and development related to energy recovery and resource conservation. By switching to much more environment-friendly liquefied natural gas at Uddeholms AB, we emit up to 20% less CO2 compared with heavy fuel oil. We use intensive monitoring to always remain well-informed of the emissions situation. This enables us to continuously improve our production facilities in order to operate them both economically and ecologically. The use of the best available technology for the reduction and prevention of emissions is a top priority here. Learn more about the history of environmental protection at voestalpine. Both economic and ecological benefits: We supply environment-friendly district heat to the cities of Linz, Leoben and Kapfenberg, among others. Energy efficiency is a crucial factor for our production processes. For example, we are virtually energy-self-sufficient at our Linz and Donawitz sites thanks to our modernization efforts and expansion of our own power plants for the generation of electricity from blast furnace gas generated during steel production. On our blog you will find an article on the innovative energy concept for electricity generation in Donawitz. By improving our material efficiency and recycling possibilities, we are making a continuous, long-term contribution to a future in which resources are used responsibly. The use of tool steel in the recycling industry enables a series of measures for conserving resources, such as the recycling of oil filters and automobile tires. Our Life Cycle Assessment team is actively involved in working groups and advocacy groups, such as EUROFER and the World Steel Association. targeted development and improvement of products and processes. This enables us to optimize material flows and ensure that raw materials are used responsibly. More about life cycle assessment. 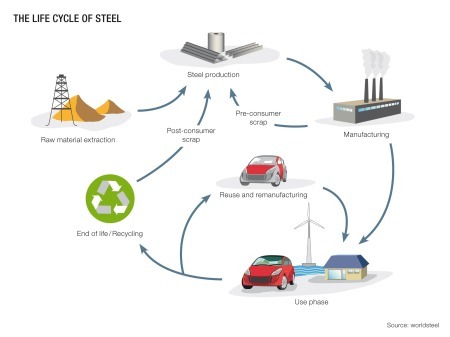 Steel is nearly 100% recyclable and today is used virtually everywhere. It makes our lives more comfortable, more environmentally friendly, more mobile and safer. 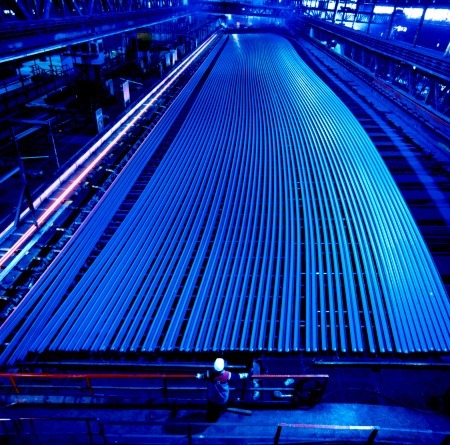 We carefully scrutinize every detail to optimize the use of precious resources during the production of steel. We draw on our power of innovation to provide the basis for modern energy and mobility concepts, and thus a better climate situation. For years we have been systematically employing measures to improve the environmental standards at the voestalpine Group with great success. At the Linz site, for instance, two-thirds of all waste and recyclables are fed back into the production process. Overall, the internal and external recycling rate is over 80%. On our blog you can learn more about our environmentally friendly production process compared to competitors. The following environmental principles are part of our daily operations; we are also committed to the environmental principles of the World Steel Association. Holistic responsibility for our products. voestalpine produces and develops products and system solutions in close collaboration with its customers and suppliers and takes ecological requirements, such as a long useful life, preservation of resources, and the best possible reusability and recyclability, into consideration. Optimization of production processes. 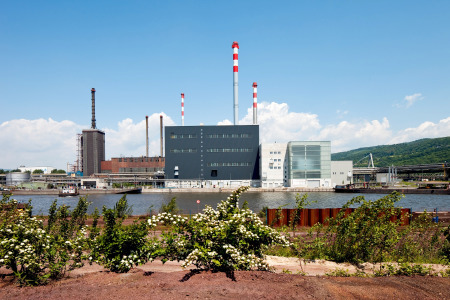 In operating its plants and facilities, voestalpine applies state-of-the-art technology in an economically feasible way in order to minimize the environmental impact of its production sites. Efficient use of raw materials and energy is of primary importance to voestalpine. Establishment of environmental management systems. voestalpine facilitates the development of environmental management systems in its Group companies. The core of these management systems is compliance with environmental provisions and the maintenance of continuous improvement programs. Employee integration. voestalpine sees environmental protection and continuous improvement as the responsibility of each individual employee at all levels and in all business sectors. Responsible and expert employees ensure that technical facilities are operated at an optimum level and contribute to continuous improvement through environmentally aware behavior. Open and objective dialogue. As the basis for shared and sustainable solutions, voestalpine maintains an open and objective dialogue with internal and external interest groups regarding all environmental issues relevant to the Group. voestalpine particularly encourages a Group-wide exchange of knowledge among all the production sites.